Recent financial crises and other high-profile mismanagement cases have brought a spotlight to the quality of leader character in the business sector. 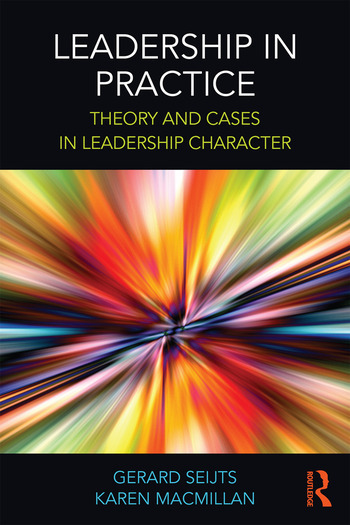 Leadership in Practice is the first book to provide an authoritative collection of cases to engage students interested in the importance of the character of business leaders. The authors have compiled a collection of cutting-edge cases and readings, situating them within a theoretical landscape, so students are familiarized with the concepts as they move through the text. The cases cover a wide range of successful businesses—from the NFL to Apple—and include notable controversies, such as those surrounding Enron and Volkswagen. Alongside exclusive interviews and insights into the value of leadership character at individual, team, organizational and societal levels, the book includes learning objectives and discussion questions to facilitate lively debate and interaction in the classroom. This volume will be a valuable supplement for students and instructors in any leadership class as well as researchers and practitioners interested in exploring case studies that illuminate the nature of leadership in a business setting. Gerard Seijts is Professor of Organizational Behavior at the Ivey Business School at Western University, Canada. He is the author of Good Leaders Learn and co-author of Developing Leadership Character, both published by Routledge. Karen MacMillan is Assistant Professor of Organizational Behavior and Human Resource Management at the Lazaridis School of Business and Economics at Wilfrid Laurier University, Canada. "Seijts and MacMillan have produced an excellent compilation of cases, demonstrating the importance of leadership at all levels of the organization and society. This book makes for compelling reading for anyone interested in studying leadership or in being a leader." "A must read for aspiring leaders, spotlighting the essential role of leadership character in the flourishing of individuals, teams, organizations and society. 'Teachable moments' are illustrated brilliantly through recent cases sure to engage, inspire, educate and develop. This book will fill a hole in the leadership development landscape and will be particularly beneficial in EMBA and MBA classes and in leadership development workshops. A refreshing read!" "This is a must read for any practitioner seeking to learn to elevate others, teams, or organizations through the exercise of virtue. In this book, Macmillan and Seijts masterfully compile essential readings and paradigmatic case studies to illustrate how good leadership can drive a sustained excellence that transcends organizational borders and enriches society."